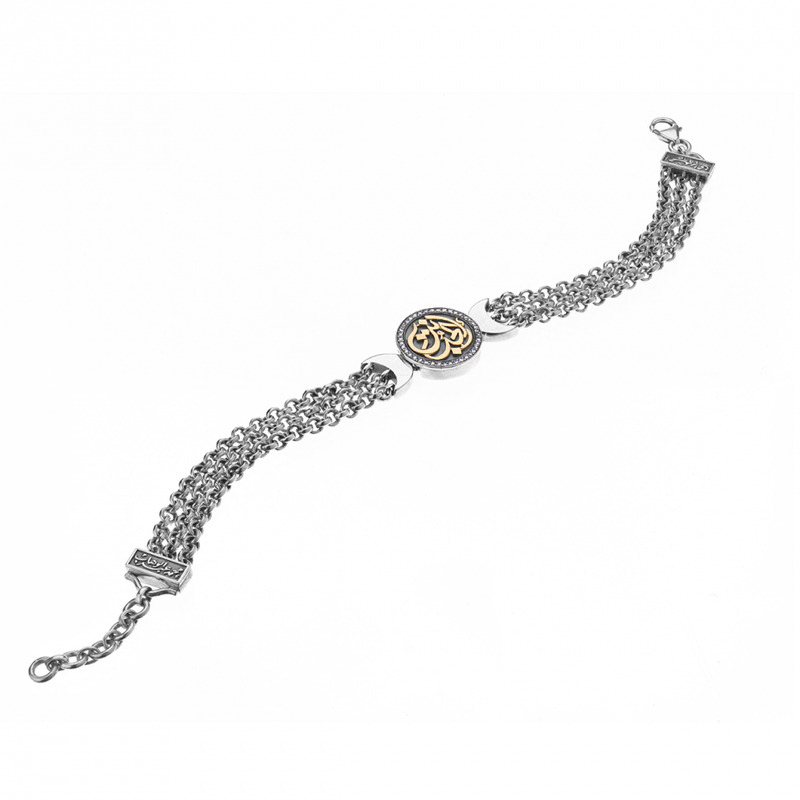 18kt Gold and Sterling Silver coiled bracelet adorned with calligraphy, Pearls and Diamonds. 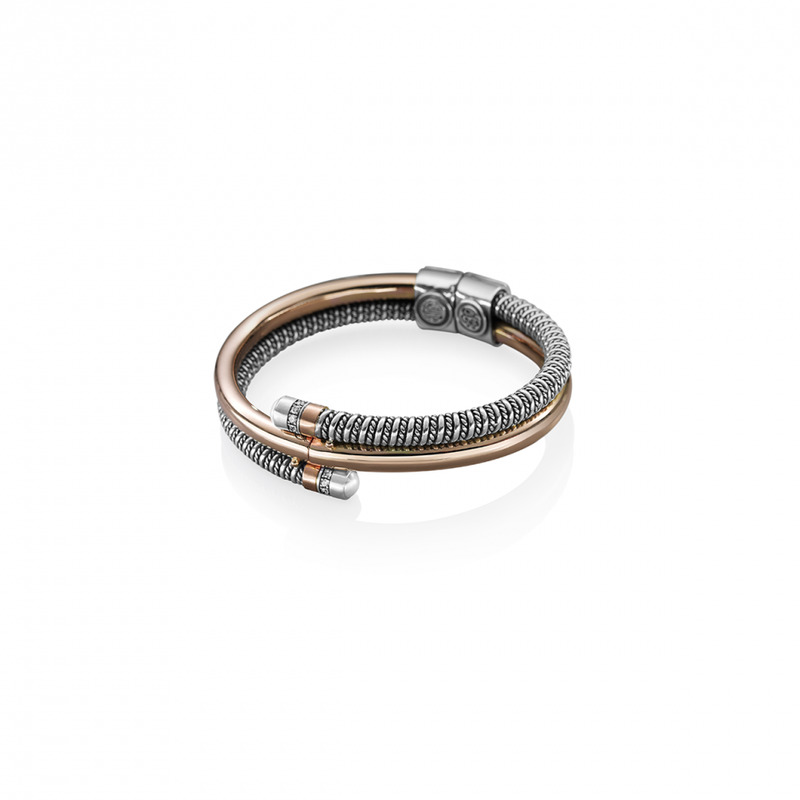 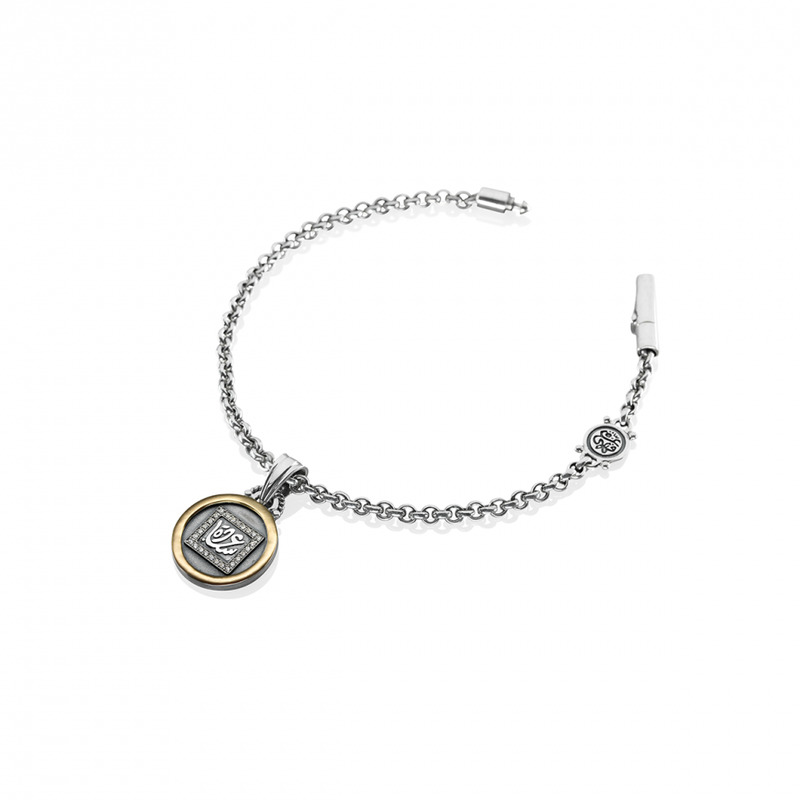 Rose Gold and Sterling Silver coiled bracelet adorned with calligraphy, Pearls and Diamonds. 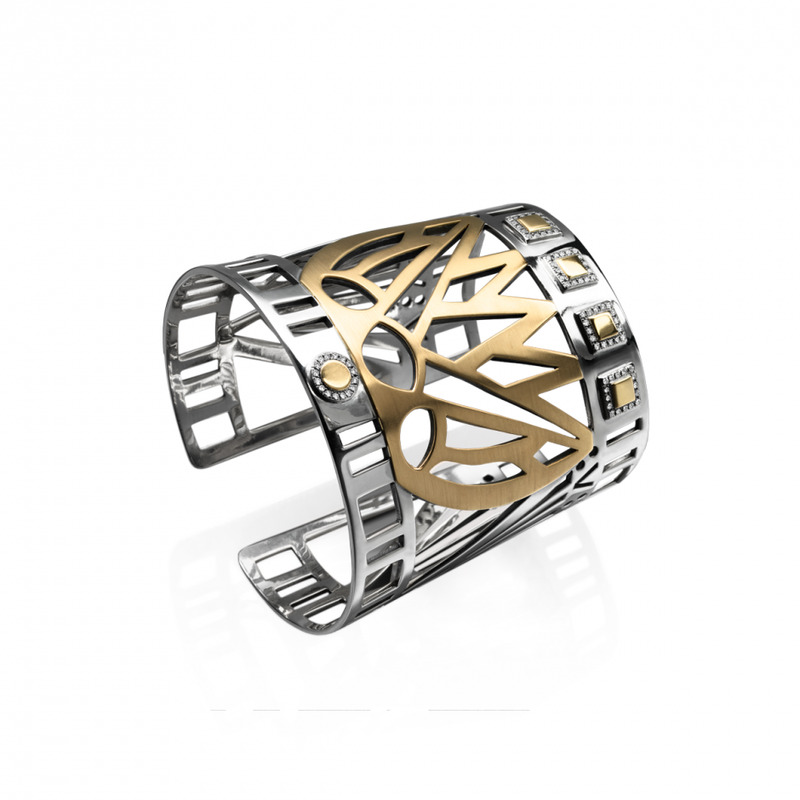 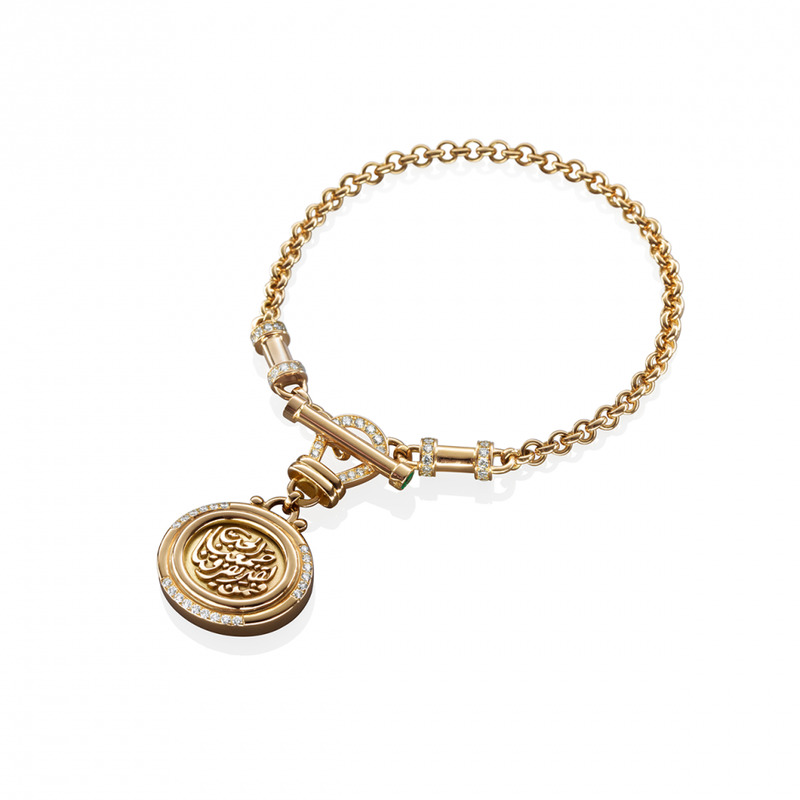 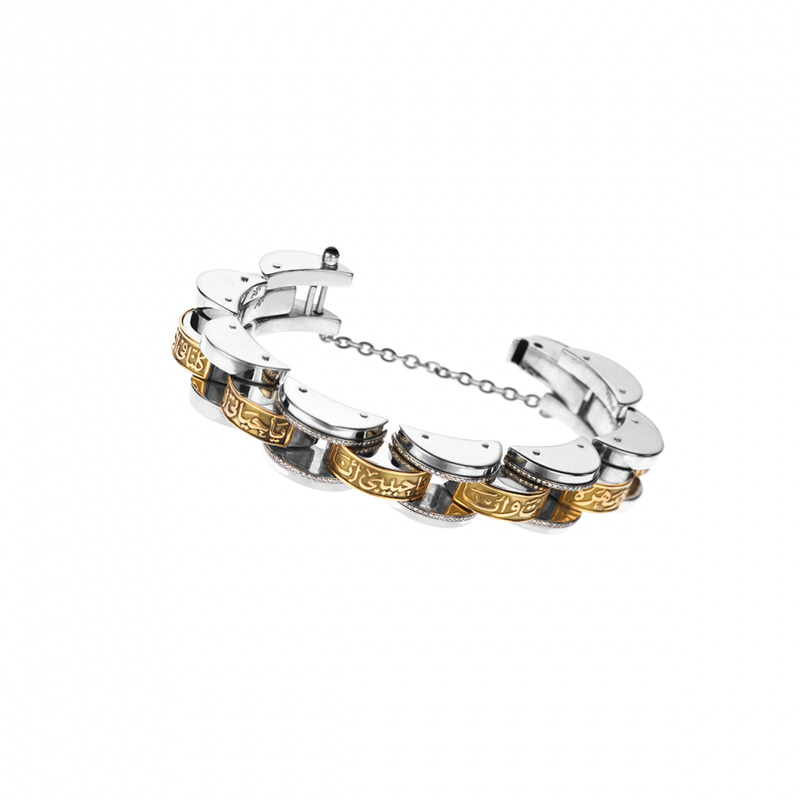 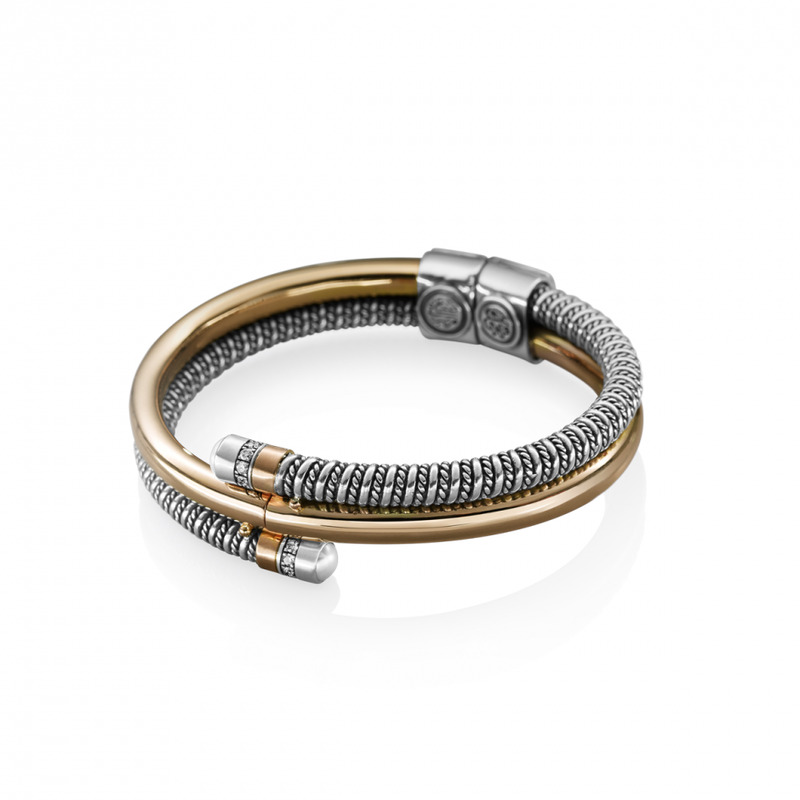 18kt Gold T-Lock classic bracelet adorned with calligraphy, precious stones and pavé Diamonds.